"Closing Costs" are the fees which pay for the various services involved when you sell or buy a house. Buyers & sellers often negotiate to decide how to share these costs. As you'll see below, many of the buyer's closing costs cover the costs of originating the loan. At Riviera Funding, we are highly experienced in mortgage lending, so we can compile a comprehensive report on closing costs related to your mortgage in your "Loan Estimate". 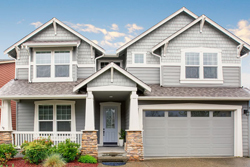 Soon after you submit your application, we'll give you the "Loan Estimate" of your closing costs. The closing costs specified in the Loan Estimate are estimated based on Riviera Funding's experience with mortgage loans, but costs often vary by small amounts between delivery of the LE and closing. We review Loan Estimates with buyers almost every day, so we'd be glad to answer the you have about closing costs. Below is a general list of costs for buying a home. We will always provide you with a specific list of your closing costs when we deliver your Loan Estimate. At Riviera Funding, we answer questions about closing costs every day. Give us a call: (310) 373-7406.